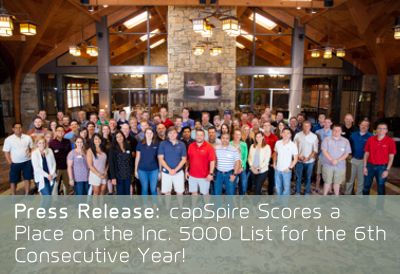 In the nine years since capSpire began as an energetic start-up, the company has garnered consistent praise for creating a unique and desirable workplace culture—including winning the When Work Works Award five years consecutively as well as six-time inclusion on the Inc. 5000 List. 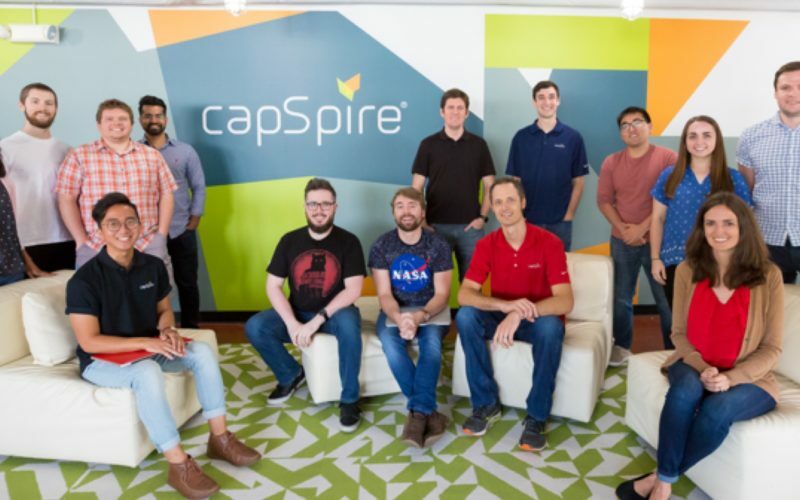 Now Entrepreneur magazine has taken notice by selecting capSpire as receipt of the 2018 Top Company Culture Award for medium sized companies. For the last three years, Entrepreneur has recognized a select group of companies with cultures that foster innovation and fuel company growth, attract new employees, and retain employees. To be chosen for this award, company finalists must allow Entrepreneur to give each of their employees surveys to objectively gauge companies on metrics such as values, agility, efficiency, productivity, and collaboration. Companies with the top survey scores are featured in the October Best Company Cultures issue of the magazine. The capSpire culture can be summed up as follows: We take our work seriously, but we reject the idea that work has to be a drudgery. We go beyond merely offering our employees competitive benefits and job perks. Ours is a work-hard environment in which we solve difficult business problems for the world’s top companies, but we also enjoy ourselves. We like to be around each other and we respect our teammates. We want to have fun, whether we’re at the office or in a more casual setting, such as our beloved annual retreat. We believe in giving everyone a voice and access to career-growing opportunities. We hire the smartest, most talented people and then get out of their way so they can do their jobs most effectively—we are big believers in autonomy, flexibility, and trust. The last thing we want to be is a bureaucracy—we just want to give our people the tools and freedom they need to succeed at solving client challenges. 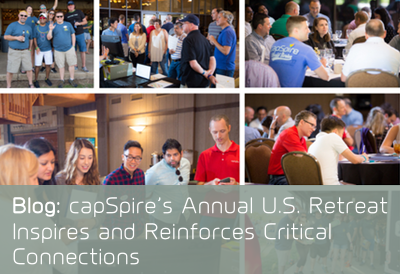 Despite rapid growth around the world in recent years, capSpire has proudly managed to maintain this culture and stay true to the company’s roots. Do we sound like a team that you want to be a part of? Please check out job availabilities at our careers page. And be sure to check out capSpire’s feature in the latest issue of Entrepreneur magazine, which is on sale at newsstands today.